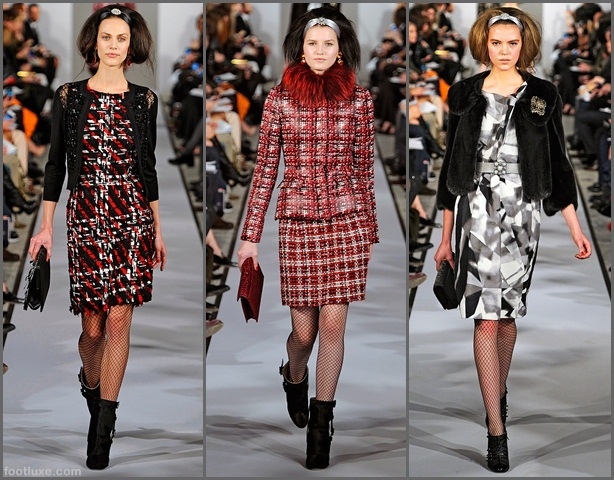 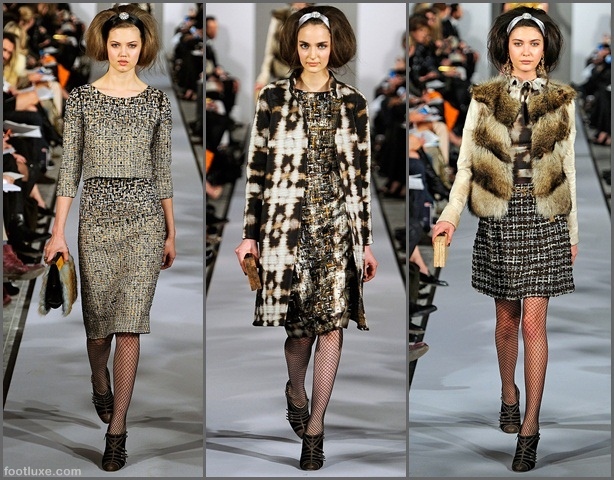 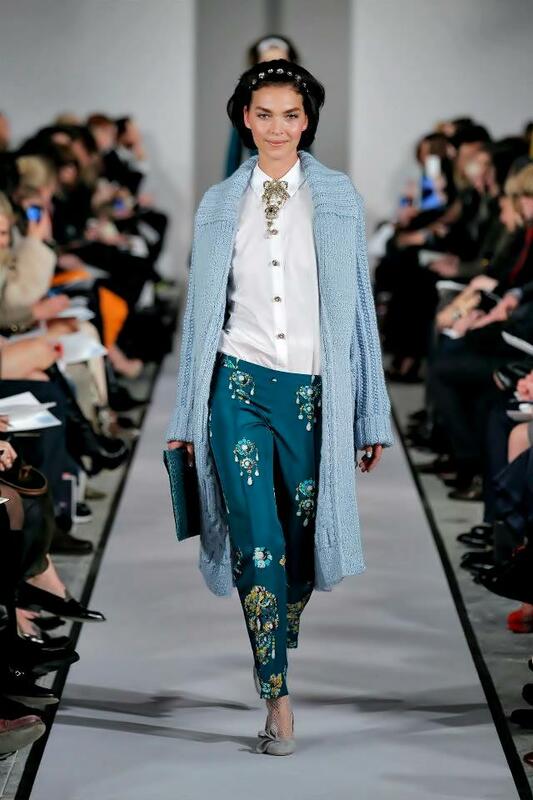 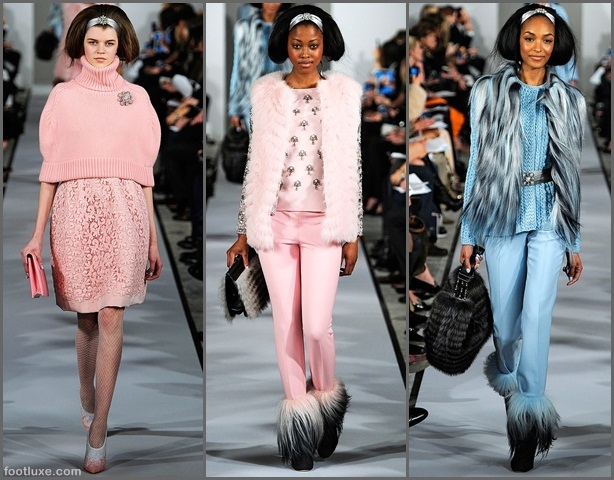 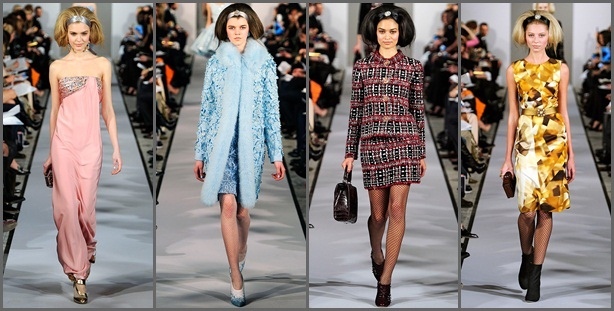 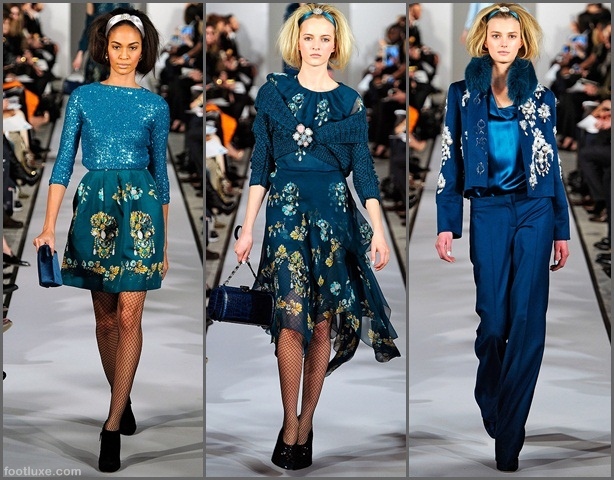 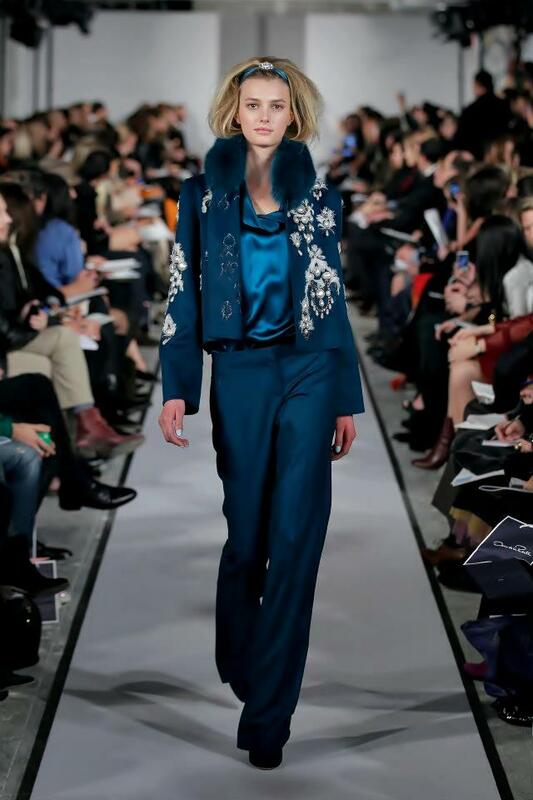 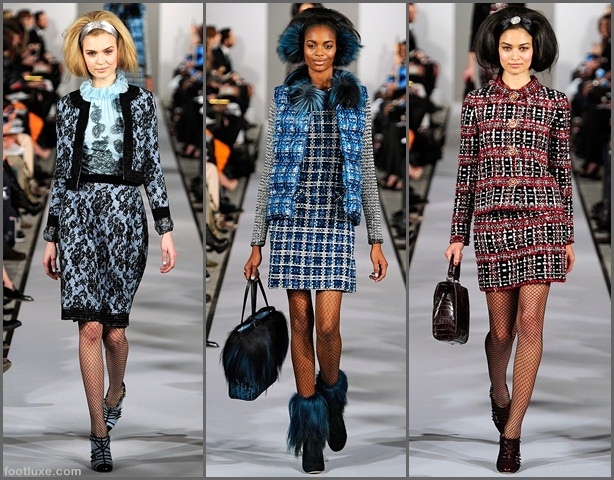 It’s like Breakfast at Tiffany’s meets Gossip Girl’s Manhattan, the American designer Oscar de la Renta presented his last Fall Winter 2012-2013 collection with the most tender and precious colors and prints, as if it’s dedicated to a young lady of the American fashionistas and socialites. Inspired by sparkling jewelries, like diamonds, crystals, and pearls, the runway featured elegant women with timeless class and way of dressing, as they donned plenty of lavish dresses, skirtsuits, and twinsets for the most exclusive Park Avenue parties. 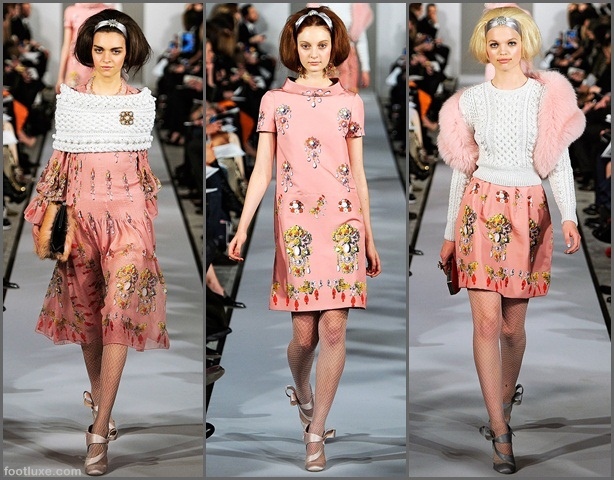 The youthful aura came through in any number of ways, including the mostly short, full-skirted silhouettes, the baby pinks, pastel creams, and powder blues, as well as the ribbons affixed with gobstopper crystals worn by the models in their hair. 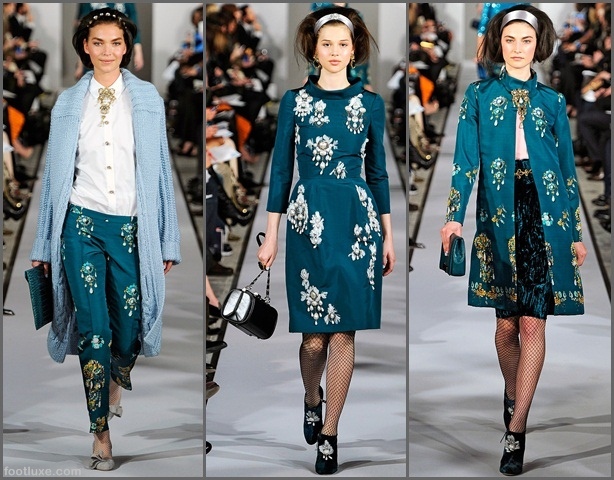 Not to mention the Persian and Indian inspiration full of embellishment, such as baroque floral prints worn head to toe, and jeweled prints and embroideries all over sheath dresses, colorful silk prints, accented cardigans, tiny candy-hued mink jackets, skinny pants, oversize parkas and nip-waist coats, which both came with fox collars, have truly sparked the entire lines. 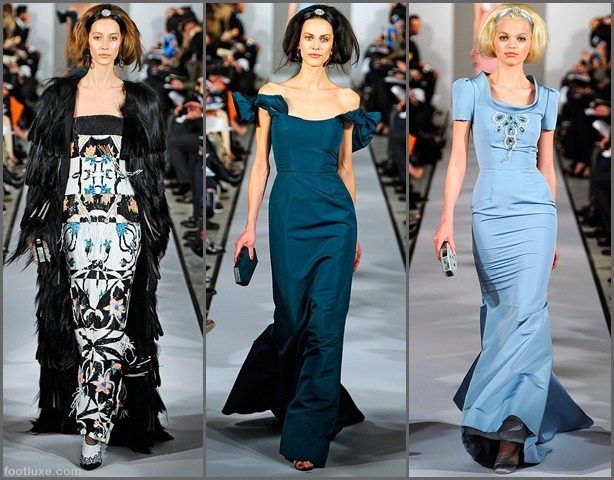 Isn’t enough with that, Oscar de la Renta also added more Cinderella style into his collection, featuring glamorous nightgowns, draped tulle gowns, coats with jeweled headbands and pearl pendants, crystal tiaras and bejeweled box clutches. 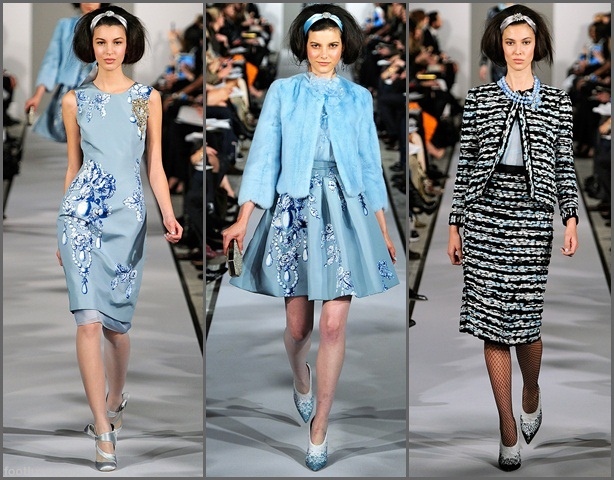 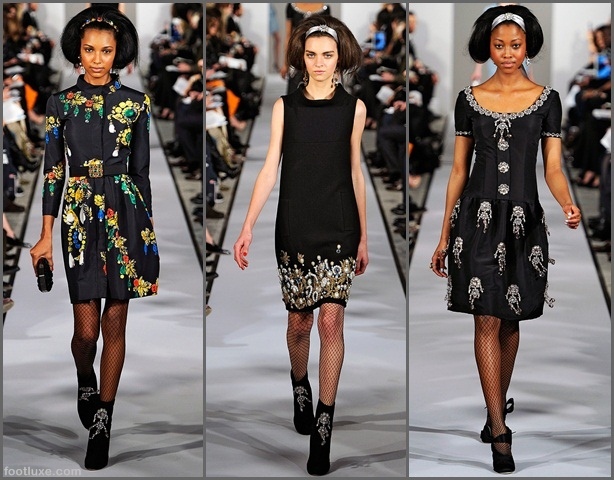 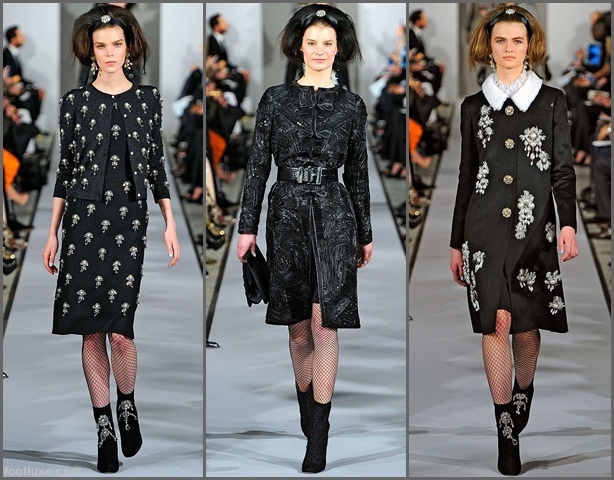 Delightful dresses from Oscar de la Renta Fall/Winter 2012-2013 ready-to-wear collection. 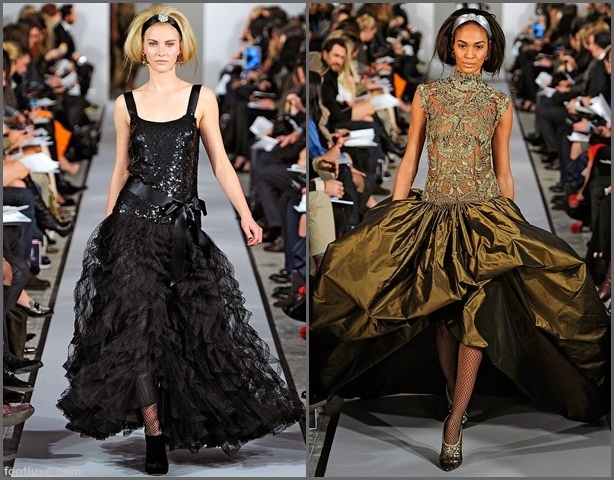 While the pre-fall 2012 offering looked fit for aspiring glamazons, this collection has many pieces for the romantic princess at heart. 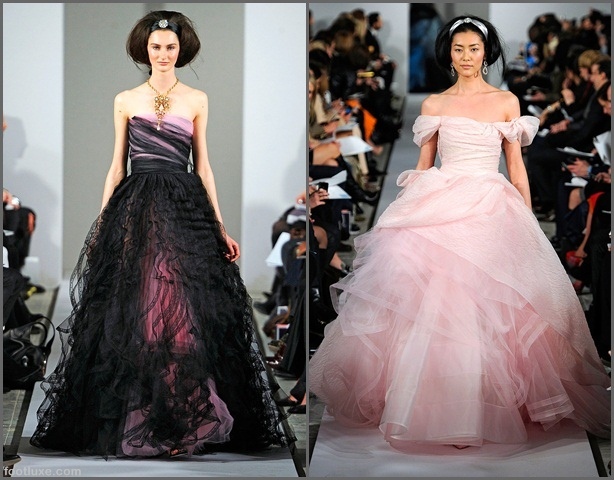 Above, rosé silk cloque and tulle draped off the shoulder ball gown — 100% wedding dress material right here! 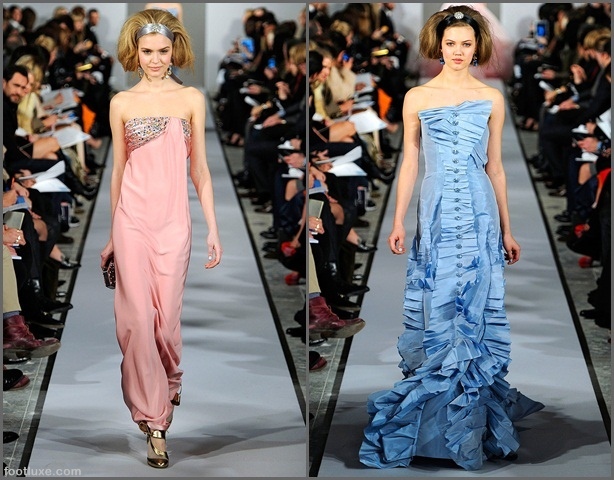 Below, silver and rosé tulle draped strapless gown.